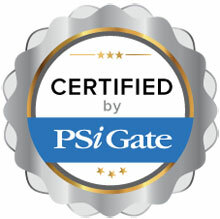 The Squirrelcart shopping cart is fully certified to integrate with PSiGate’s payment processing gateway. This certified solution works in both Canadian and US dollars. Visa, MasterCard and American express credit card processing is available. Please note that some features are only accessible through the PSiGate online web interface and not through Squirrelcart. Squirrelcart PHP Shopping Cart software is a fully customizable, robust php shopping cart, designed with the advanced developer and web novice in mind. If you are a web novice, you will appreciate its ease of use, and the fact that Squirrelcart will generate the HTML for all of your store’s pages based on the built in templates provided. If you have a strong knowledge of HTML, you will appreciate the ability to make Squirrelcart look and work the way YOU want it to. We’ve provided the ability to move around all of its components, completely change the look, and make it fit your specific needs.